Stockist is fully integrated into Zoey, a customizable e-commerce solution with an easy-to-use website editor. 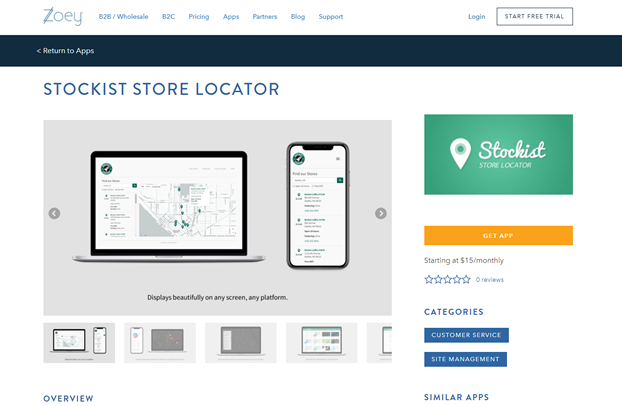 Once you install the Stockist app on Zoey, you can drag-and-drop our component inside the editor to easily add a store locator to any page on your Zoey site. 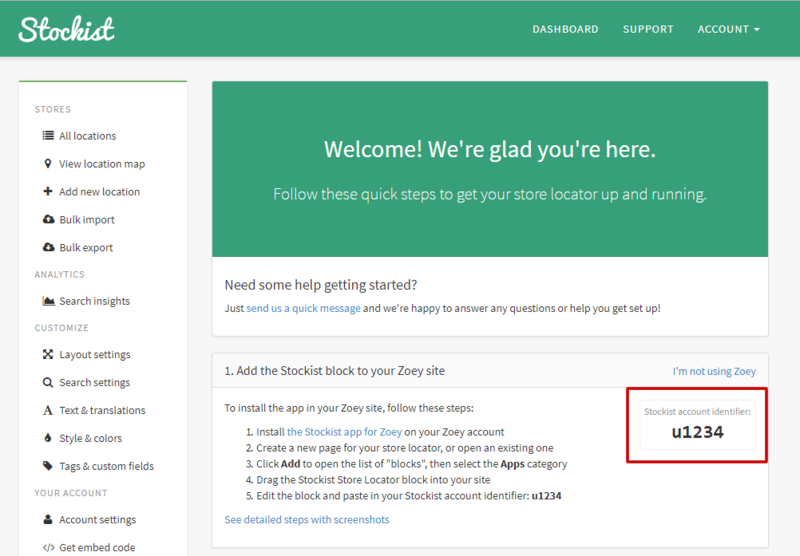 In order for the Stockist block to appear inside your site editor, you'll need to install and enable the Stockist app in your Zoey account. To install the Stockist app, open the Stockist Store Locator Zoey App page, then click the Get App button and follow the prompts. In your site' Visual Design Editor (the "Edit My Design") section, create a new page for your store locator, or open an existing page. 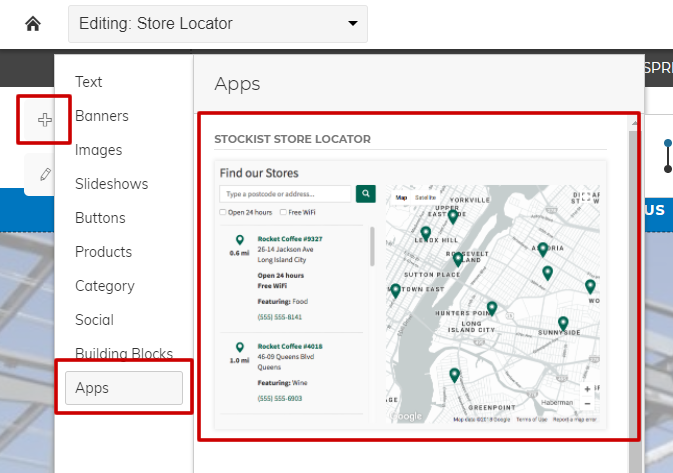 Next, open the add menu, find the Apps section, and drag the Stockist Store Locator block into your page. Next, you'll need to link the app block on your page to your Stockist account by copying your account identifier into the block settings. Once you've set up your account identifier, click Save & Publish, then view your store to see the store locator working. 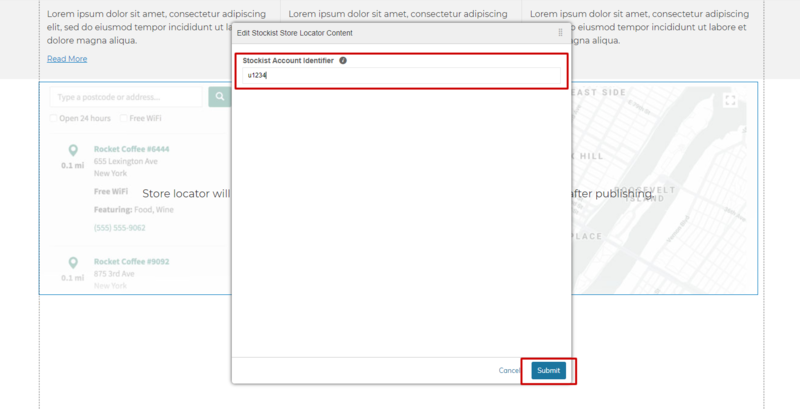 Your store locator won't load in the Visual Design Editor. Congratulations! 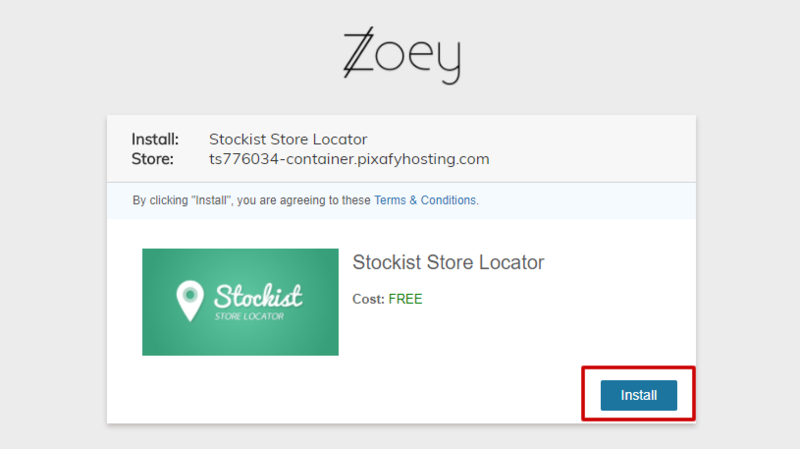 Once the steps above are completed, your new Store Locator should be displaying on your Zoey site. You can add your store locations and customize settings, map colors, and more, all from the Stockist app dashboard. If you have any questions or ran into trouble during the installation, just click Contact Us at the top of the page and we'll be happy to help out.